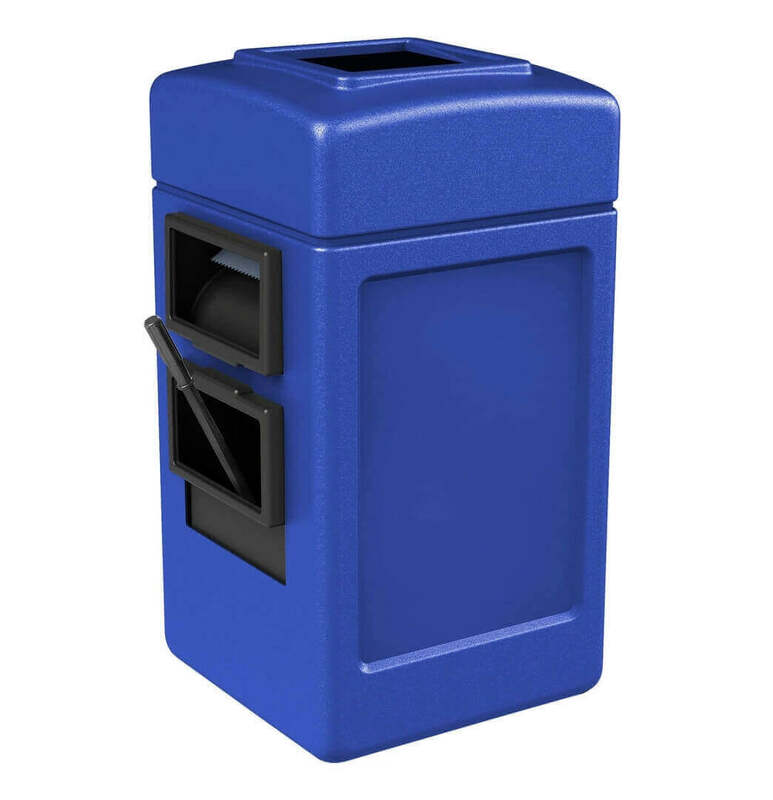 This 28-gallon Island service center polyethylene plastic receptacle with a 2-gallon bucket and towel dispenser is an ideal space-saver for car washes, rest stops, and gas stations. 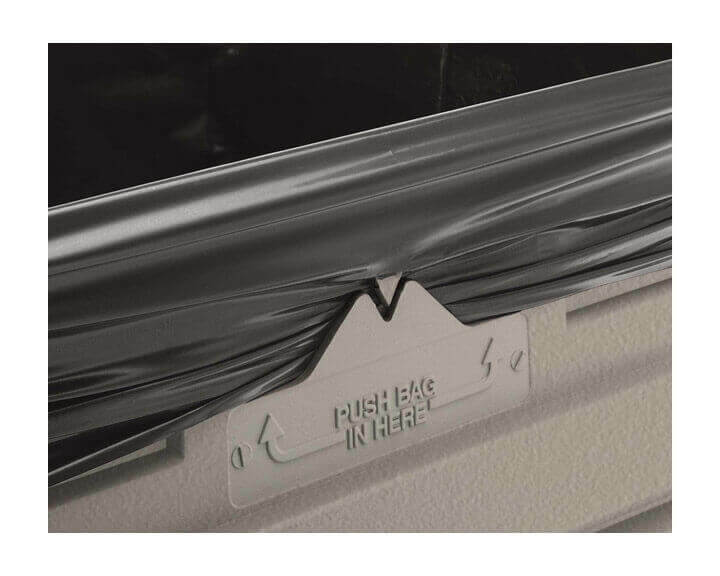 Made of high density 1/8" thick polyethylene that won't dent, rust, or chip. Comes with a removable 2-gallon water bucket, paper towel holder, and squeegee to assist any customers windshield washing needs. 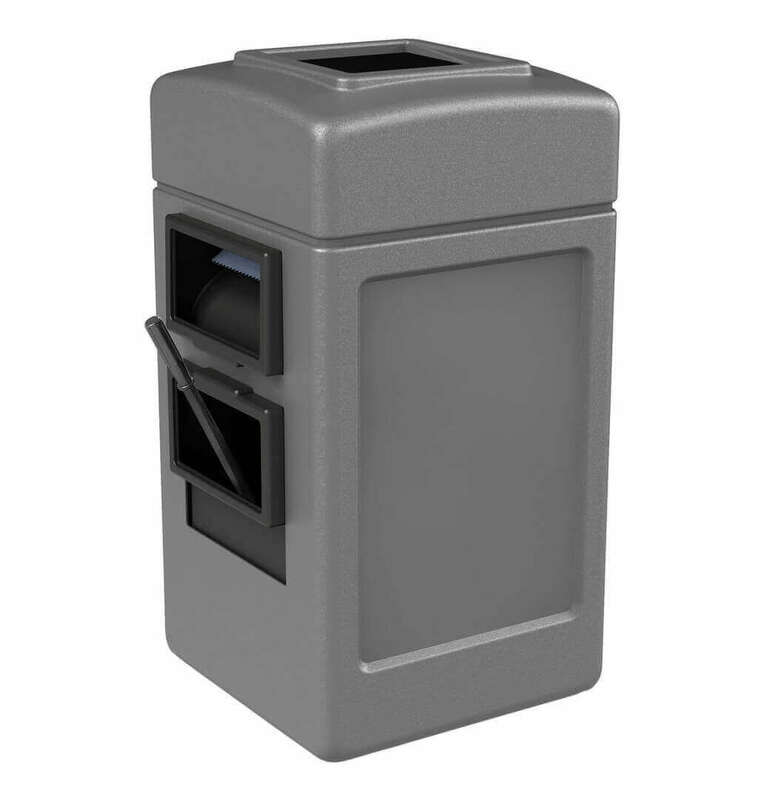 The towel dispenser accommodates the standard 10" x 10" of 1 or 2 ply folded paper towels. An interior splash guard design protects the towels from the trash area, while still allowing the bag to be removed easily from the receptacle. Remove the lid to take out the trash or stock the paper towels. Featuring a large 9" x 9" opening in the top for easy disposal and the patented Grab Bag system, which secures the 45-gallon bag to the receptacle. Made in the USA and is supported by a 1-year commercial warranty. 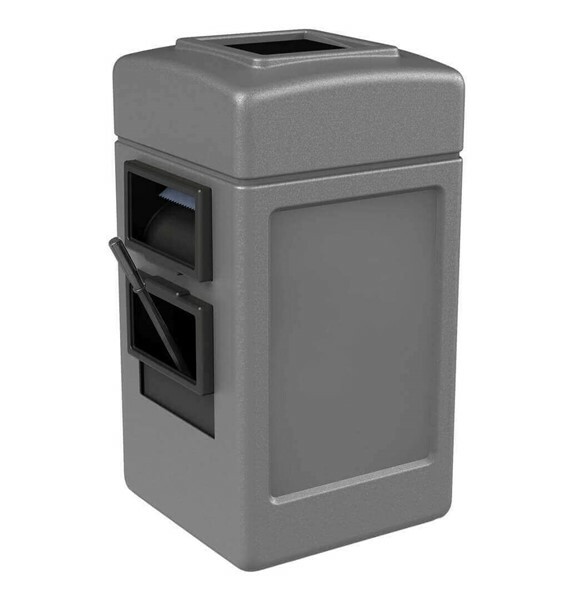 42 Gallon Ashtray Top Plastic Trash Receptacle with Decorative Horizontal Lines Stainless Steel Panels - 34 lbs.